Set in the stunning location of the west coast of Scotland, our restaurant serves great quality, super fresh food, specialising in seafood and fish, sourced locally wherever possible. Good service and good food in a relaxed environment. most enjoyable evening.look forward to visiting again when I'm in the area. It was a lovely evening, food good, just need to make sure no crab shell in the crab pot and disappointed that there was no oysters or mussels on the menu. It is as usual a great place. Atmosphere wise the restaurant was pretty empty as we were so early. The music wasn't really audible so it was a quiet environment. We really enjoyed the food and the service was good. Fantastic restaurant!! Been there many times and will go back there again and again! Excellent lunch with great views even on a thundery day.. Friendly staff in their Christmas jumpers. We will be back..
We visited this restaurant while on a long weekend trip to Oban. Perfect food, even adjusted my chosen meal to accommodate my allergies with no problem at all. Atmosphere and service one of the most pleasant and relaxing we have experienced attributable to the happy smiley should staff. Went back for a second visit and would definitely recommend a visit to anyone. Really enjoyed the food especially the deep fried oysters. The fish & chips were good also but the portion was too big for me, next time I will ask for children's portion! I didn't think you could still catch a haddock that size. My family and I visit oban once or twice yearly and always make a point of visiting Waterfont as it's our all time favorite place to eat. Once again we were not disappointed, amazing meal as expected, fantastic service and all round wonderful experience.... Roll on 2015 for our next visit!! The staff were very welcoming on arrival and extremely attentive. The ambience was fine but perhaps the spacing of the tables along the bench seat was perhaps somewhat close. The menu was sufficiently interesting. We had a starter and main course each and the portions were satisfying. We hadn't been to the Waterfront for some time but would have no hesitation in returning or recommending to others. 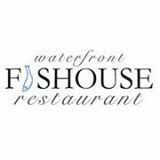 Another excellent meal from The Waterfront Restaurant, We can't praise you enough for the quality of the seafood and the wonderful service we received from your Povel an asset to your business without a doubt. I Was really dissapointed with a fish & chip restaurant I tried last night who seemed to get good reviews, Your meals certainly made up for it. I would like to note that I was a fish merchant for 30 yrs so I know my seafood , Good Luck to you and your Fab Restaurant you deserve to suceed. The fish contents of the 'stramash' were not as fresh as they should have been. Last time I ordered this it was delicious and I enjoyed ever mouthful, disappointed this time. I booked a table for my wife and I approximately 1 week before going to the restaurant. There was an additional request box where I asked if I could have a table overlooking the water as it was my 10th Wedding anniversary. I received a reminder of my booking on the 4th of November. All going well so far. I arrived at 7pm, time of my booking, and was asked have you booked? I replied yes and was promptly asked to pick a table of my choice? I was a bit taken back by this as I had taken the time to reserve a table however it clearly had not been done. I looked around the restaurant, which had 8 people in, and to my surprise there were no tables left overlooking the water which I had requested. Why have a booking service which asks you for other requirements if you don't bother trying to honour. I then chose a table and ordered 2 drinks. When my drink arrived, Corona, the lime inside was covered by a white skin which clearly showed it was not fresh. I went to the bar and requested a fresh drink and lime. The person at the bar proceeded to go back to where the initial lime had come from. For the 2nd time I requested a fresh lime and fresh bottle of Corona. The Duty manager came over and I expressed my concerns about the service so far. Our starter arrived, Mussels for my wife and soup for me. The mussels were amazing and the soup was quite good. When our mains arrived, Scallops for my wife and Sirloin for me, I noticed mushrooms on my plate. I queried why they were there as it did not mention them on the menu. ( I don't like mushrooms) The waitress said' the chef was trying too give you something extra for all your troubles so far' Why, if that was the case, would you not ask if I would like anything extra? I was not looking for anything extra. I just wanted what was advertised on the menu and some service of a decent standard. I then tried to cut my steak however the steak knife would not cut the steak. I asked for another one. To my surprise they said they didn't have another one but were getting one from the Chinese restaurant below. I eventually got my steak knife and ate my dinner. The scallops were fantastic as was the steak. We got our desserts which were fine. The restaurant kindly took care of our drinks for the evening as a way of an apology. Service not great. Food fantastic. I did mention that I felt sorry for the chef as the food was lovely however the whole experience was tainted by the service. If you get your service up to scratch and the food is the same as what we got then you have the makings of a brilliant restaurant. Enjoyable meal, friendly staff, clean and stylishly decorated restaurant with view of the harbour. White wine served too warm and had to ask for ice bucket and would have preferred slightly less fussy food - simple grilled fresh fish can't be beaten! Would return. Atmosphere 3 stars only because it was a quiet Monday night in November. The food and service were excellent. We had a table of 6 and 2 of our colleagues were running late, but this was not a problem for the Staff. The Chef made up some nibbles for us whilst we were waiting, which were delicious and much appreciated. Without a doubt a favourite place in Oban! Great fish and seafood, excellent value for money and an innovative menu. Always recommend to friends and visitors and take family when over. Enjoyed a meal with my husband on Friday night. Food was delicious and service couldnt be faulted. I have marked the atmosphere down as it was early and the restaurant was still quiet. Looking forward to coming back sometime to try more of the dishes. All delicious! Loved the scallops. Fantastic meal - the waitresses were great with the kids, and the Waterfront now has a gluten free menu too. Just perfect. Excellent all round -  Food,  Service,  environment, whole package. Unfortunately I was in Oban just for the weekend or I'd be back next week. Lovely food and attentive service. Very nice meal.